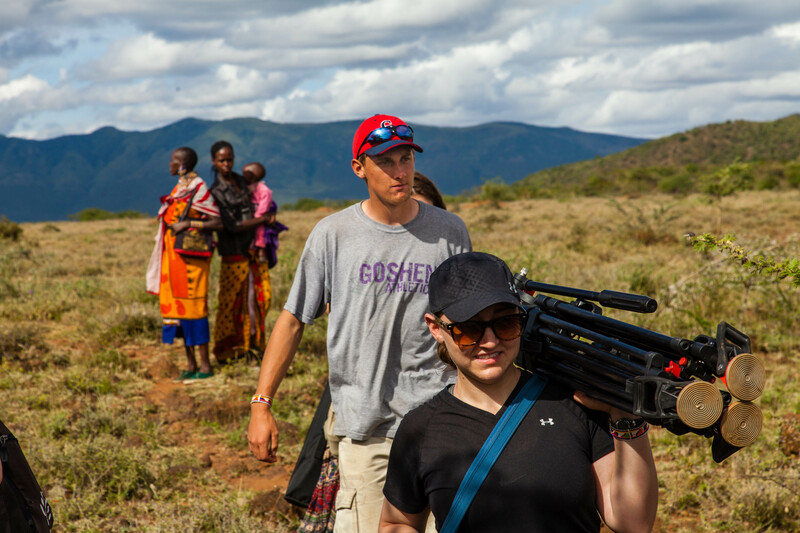 Goshen College students David Leaman-Miller and Danielle Kerschhackl carry their camera equipment during a video shoot with Maasai women in the Ngong hills of Kenya. As an aspiring videographer, David Leaman-Miller has shot hundreds of hours of video, but he considers footage of pigs at a rural Kenyan farm to be the best thing he’s ever filmed. The film he’s talking about is an eight-minute documentary about sustainable farming in Ndeiya, Kenya, one of two short documentaries filmed by Goshen College students during a May term course in 2014. The Goshen College Communication Department and FiveCore Media recently released the two documentaries on the work of Foods Resource Bank (FRB) and its partners in Kenya: Sunset to Sunrise: Sustainable Living in Ndeiya and Culture and Community: The Maasai Shift to Settled Life. 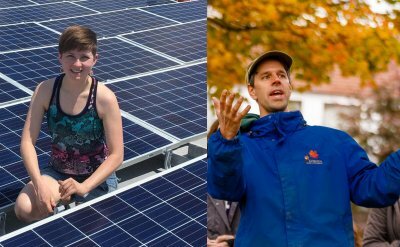 “Sunset to Sunrise: Sustainable Living in Ndeiya” was directed by Leaman-Miller and Elizabeth Derstine, a junior communication and English writing major from Lancaster, Pennsylvania. “Culture and Community: The Maasai Shift to Settled Life” was directed by Abby Deaton, a senior communication major from Indianapolis. See full credits below. These films document the work of two self-help community projects based on innovative sustainable farming and water security. The Ndeiya project is a partnership between FRB, World Renew and Anglican Development Service. The Ngong Hills project is a partnership between FRB, Mennonite Central Committee and Maasai Integrated Development Initiative. Both feature first-person interviews with partners involved in these projects. 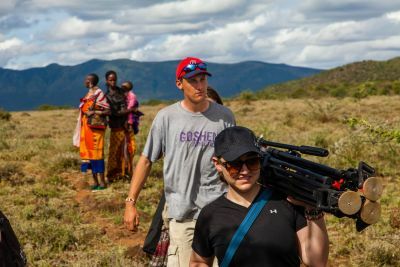 Ten GC students traveled to Kenya last May for the “Practicing Public Relations in Kenya” course to film the documentaries, write articles and take photographs of this work. Kyle Hufford, assistant professor of communication and general manager of FiveCore Media, and Pat Lehman, professor of communication, collaborated to lead the course. Hufford noted that such a project takes coordination, patience and endurance for the students to accomplish their goals over such a long period of time. “Add to that the international travel and experiencing a different culture, which are priceless educational opportunities for these students,” he said. 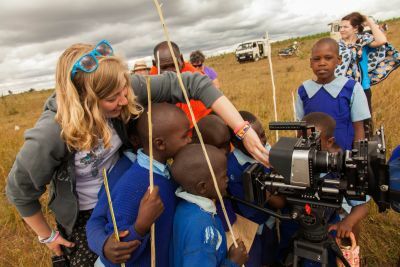 Curious Maasai children in the Ngong hills of Kenya take a look at a camera with Abby Deaton, a senior at Goshen College. Leaman-Miller agreed that the experience was eye-opening. The experience went beyond the trip to Kenya, though. Students in Hufford’s Advanced Pre-Production course in spring 2014 planned the documentaries, and students in Advanced Post-Production edited and produced the videos in fall of 2014. In all, more than two dozen students were involved in some way in planning, filming and editing the documentaries, as well as writing articles and taking photographs for FRB. 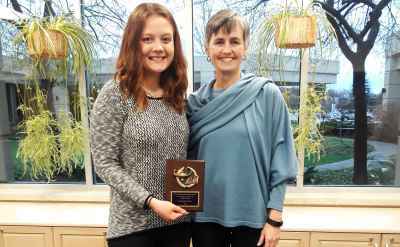 “These videos add to the growing number of international documentaries filmed by Goshen College students over the years,” said Lehman. In May 2013, Goshen College students filmed Breaking Down Barriers: The Journeys of the Apostle Paul in Greece and Rome with Hufford and Seth Conley, associate professor of communication. This video is now being aired in Germany and Norway and is available on Amazon Prime. As for the Kenya documentaries, FRB and their partnering organizations will use them to promote their projects and to appeal to donors. “I hope that our movie has done their story the justice it deserves,” Leaman-Miller said. For more information on the Goshen College Communication Department go to www.goshen.edu/academics/communication or contact Pat Lehman at 574-535-7587 or via email at patjm@goshen.edu. To learn more about FiveCore Media, visit their website at FiveCoreMedia.com, or contact Kyle Hufford at 574-535-7192 or via email at khufford@goshen.edu.